Consultant Connect is kicking off the Top 50 with Alex Phillips from City of Burleson Economic Development. Find out more about Alex’s personal leadership within his organization and what he thinks is most important for the future of economic development. 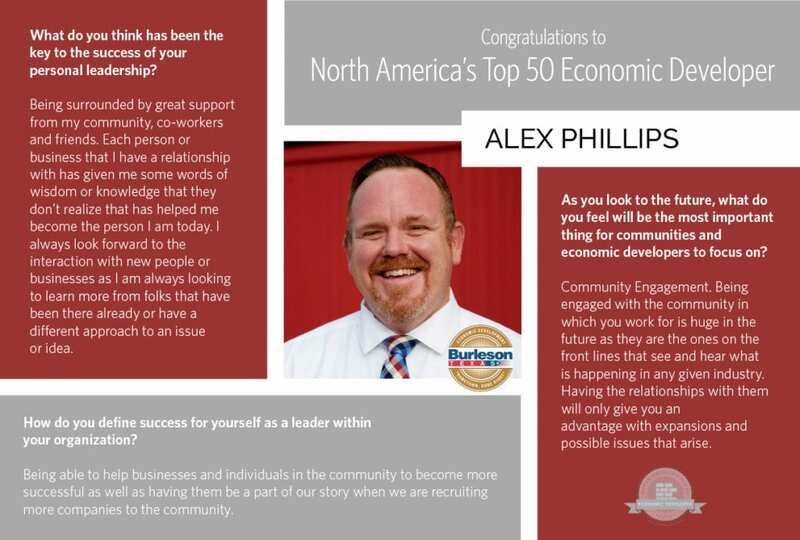 Congratulations to Alex Phillips of Burleson, Texas for being named North America’s Top Economic Developer by Consultant Connect! We are PROUD to be partnered with Burleson and thrilled to see the success of Alex in his role at the EDC.